I met John Kayode Fayemi sometime in 1984 when we were both Student Activists at the University of Lagos. He graduated in 1985, I graduated in 1987. He represented Eni Njoku Hall while I came from Moremi Hall to serve on an ad hoc committee on some issue then. Kayode was the calm, studious type, never heard him raise his voice even in the heat of many arguments that characterised student unionism. He also joined us in “Theatre 15” so we hung out socially with other friends sometimes but he was more studious than sociable. He was always an introvert, not a party freak like me, highly intelligent, very amiable, very loyal and fiercely principled. If Kayode promised to meet you at 2pm, he will be there on time. He kept his word. After his graduation, we lost touch until we met again on January 1 2000 New Year Service at the Household of God. We picked up the friendship, I congratulated him on his role in the Abacha Resistant Army in Diaspora, exchanged contacts again and remained in touch. I found out later that he was classmates with my friend Dr Eniola Ajayi at Christ School 75/80 set so we met often as I became an adopted member over time. When he decided to run for Governor in 2007 elections, my support was muted as I was working on Rev Chris Okotie’s campaign then. We even met in Abuja once when I introduced them. Then the struggle, the rerun and finally the judicial victory on October 16, 2010. Though I hated traveling, I left my show that Saturday morning to be at the swearing in. We arrived late about 6pm in a rain storm, thousands of people all over the government house. Someone went to tell him I was around and he sent them to get me. When I made to leave for the hotel a friend had arranged for me, Kayode said ” No, Sola, you are sleeping here tonite”. Then I remembered that while we were waiting for judgment, he promised me that I will have a permanent guest room in the government house. In the midst of the excitement and jubilation, Fayemi remembered his promise and kept his word! That is the character of the man we now call JKF…o wi bee, o se bee! As Governor, Fayemi maintained his idealism in the face of seemingly unsurmountable challenges. He had a fierce passion for the Ekiti people and was totally committed to lifting his people back to the past glory Ekiti had especially in education. Fayemi is a strategic planner, a confirmed workaholic.All through the campaigns, he returned to the office to treat files so governance would not be truncated by politics. He was totally committed to making the lives of his people easier and was determined enough to face the challenges. JKF had the political will to take the hard decisions necessary for development, even when it cost him his popularity. The teachers issue was a case in point. Sadly though he eventually bowed to the political interests, it didn’t make the difference. Every decision he made was always about Ekiti interest first. I remember when I was appointed as Chairman Restructuring Committee to resuscitate Broadcasting Service of Ekiti State (BSES), I proposed that we terminate the contract of the previous govt and re-award as some of the equipment yet to be delivered had newer versions and were now cheaper. He explained that it would cost Ekiti more in litigation to get out of that contract than to continue so we stuck with it. Fayemi retained practically all the contractors inherited from the PDP Govt to complete all on going projects except where the contractor was shoddy or could not deliver, a pragmatic approach that did not sit well with his party people who felt he should terminate and reaward to the then ACN loyalists. That was the beginning of the “Stomach Infrastructure” agitation. Kayode’s passion for excellence in his people is unrivaled. He seeks out Ekiti indigenes blazing trails all over the world and celebrates them. The concept of Ekiti State Calendar had an inset of a successful Ekiti man, woman, young and old in various walks of life irrespective of religion, political party, class or creed. They were Ekiti ambassadors; the primary assets of Ekiti State…its people. Sadly, the Ekitis at home resented their blood who they termed as “Ekiti Abroad” – as if not living in Ekiti diluted the potency and authenticity of their genealogy. 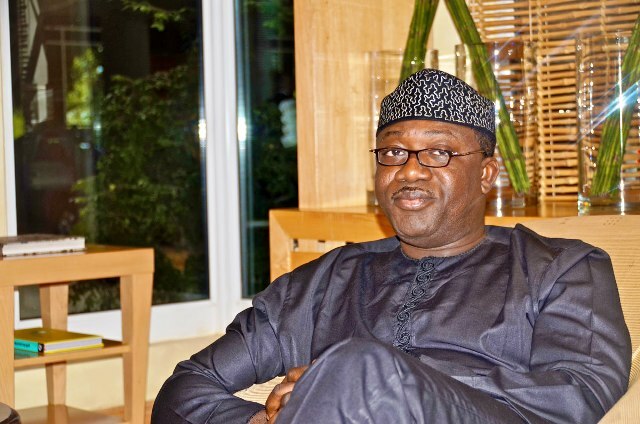 Fayemi leaned on his personal favours and goodwill to develop Ekiti State. Many of the achievements recorded were at the sweat of his numerous friends. I recall that as Chairman Restructuring Committee at BSES, I received an allowance of N800k a month to cover for my hotel and feeding. I drove my own car, paid my driver’s salary and provided his accommodation yet I was termed a “consultant”. There were many of us like that who were perceived as Lagos consultants who came to chop Ekiti money. But we did our best because we believed in the vision of our friend to elevate his people from subsistence to abundance. They threw our idealism back in our faces though. I could go on about Dr Fayemi and the quality of leadership he brought to bear in Ekiti State but I leave the rest to posterity. Sadly it took his humiliation at the polls by the same Ekiti people he sacrificed for in the last election for Nigerians to finally catch a glimpse of the character of one of the best leaders Africa has and will ever produce. Sad, extremely sad. I have finally accepted that majority of Nigerians don’t want good leaders. Anyone who is better than us is not fit to lead us. We want to remain as we are; we really don’t want to be better than where we are. Kayode Fayemi is my ideal leader: principled, focused, visionary, sacrificial, decent, compassionate, respectful, humble, unassuming, serious minded, intelligent, strategic, kind, peace loving, morally upright, and passionate about his people reaching their fullest potential. Is he a saint? Far from it, no man is perfect but his good far outweighs his weaknesses. My friend, I wept profusely this morning after reading about your meeting with Governor -elect Ayo Fayose. Your strength of character humbles me. I have always told people that if Ekitis vote to reject you, you and your exceptional team will leave without rancour. Thank you for not disappointing me and many more who admire you. You endured the many lies and ridicule of the past 4yrs without missing a step in your commitment to making poverty history in Ekiti State. Unfortunately, the Ekiti people didn’t want your vision and couldn’t bear with you a little longer. What hurt me most is not that you lost, losing is an option in every contest but that not one local government out of 16 could at least say “we appreciate your effort”! Did Ekiti State hate you so much? O ma se oo! You have never been a loser and even in the face of this humiliation, you stand tall. I am proud of you. The 120,000 Ekiti citizens who voted for you in the face of Federal Govt intimidation and harassment are proud of you. Even your detractors and haters through this brutal campaigns and elections are being humbled by your exemplary statesmanship. Team JKF as a whole salutes you. Thank you for showing us that good governance without corruption is possible. Thank you for giving us hope. My friends, this is the stone that the builders in Ekiti State rejected!